Supper time is an event on its own. I always believed that dinner should be taken with family and supper with friends. Or vice versa whichever your preference. Malaysia seems to have food available to you 24 hours a day. Roam the streets and you will find a place to appease your appetite. The ‘mamak’ scene is a cultural icon of Malaysia. Minum teh a.k.a yum char (drink tea) time is always possible. Tea may not be the main theme but it is usually a pre-lunch, pre-dinner, post dinner, pre-breakfast event depending of what time of day. 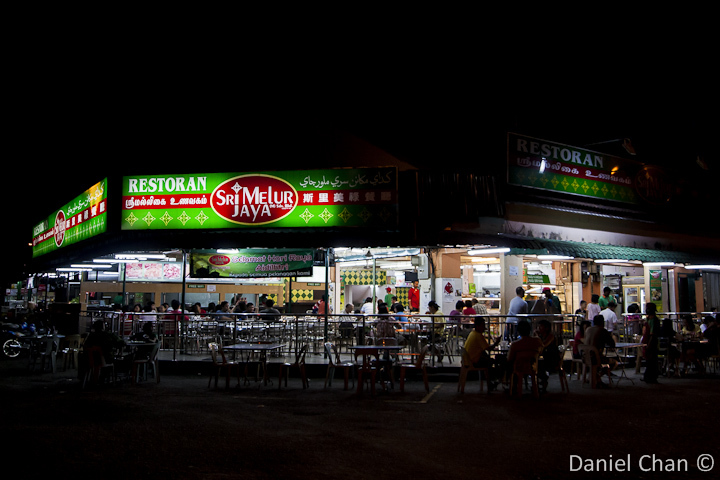 Did I mention, you can eat 24 hours in Malaysia? Oh yes I did. You can eat at anytime. 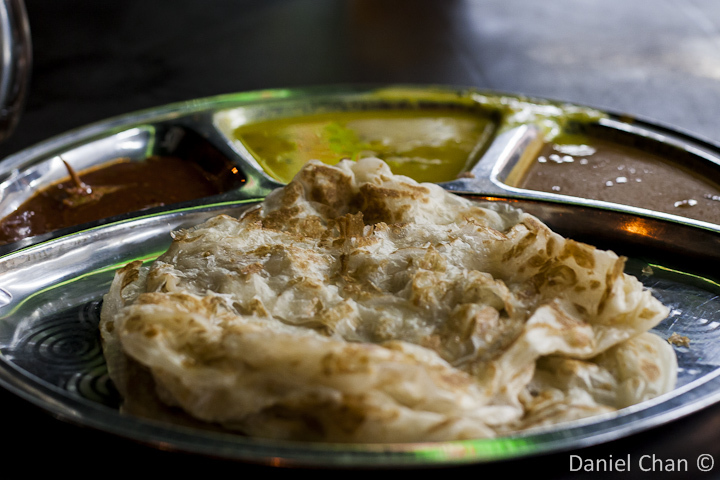 Roti Canai must be flacky yet not crispy. Warm and freshly made. Today’s post will deal with two very common dishes. Roti canai and maggi goreng. 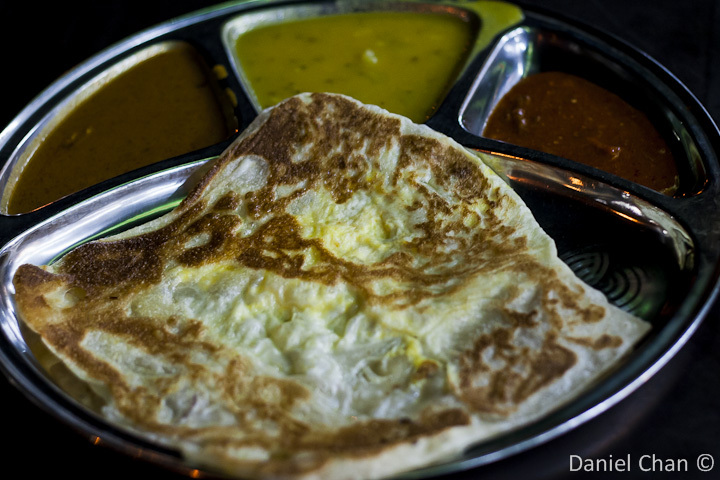 I know…I know…Singaporeans will say Roti Prata. Either way, the are the same. Flour, oil and curries. 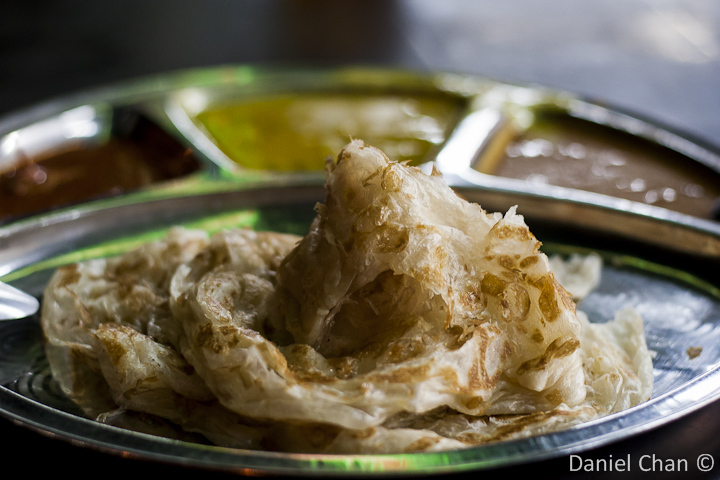 For a ringgit or two, you can enjoy slotting the cooked flour with curry into the empty slots of your stomach which was not filled by breakfast,lunch or dinner. Throw down a drink and you will have eliminated the minute spaces between the roti and the curries. When you talk instant ramen, (as Maggi is a brand, not a type of noodle; but has become synonymous with the genre) you have a picture of someone boiling water, putting in the monosodium glutamate (MSG) infected flavorings, artery clogging oils and dumping in waxed noodle. Malaysian took it a step further and decided to fry it and add eggs and vegetables. I think this is to appease those who eat with some health consciousness. 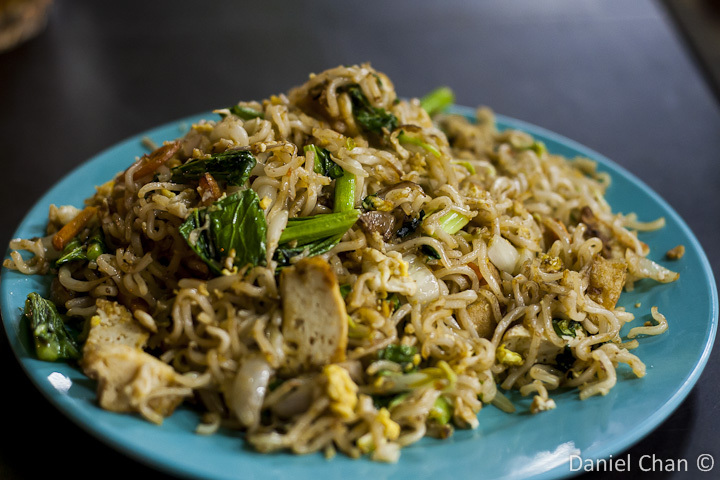 Maggi Goreng. Averages at RM 4. What you get is a nice filling meal below RM10.